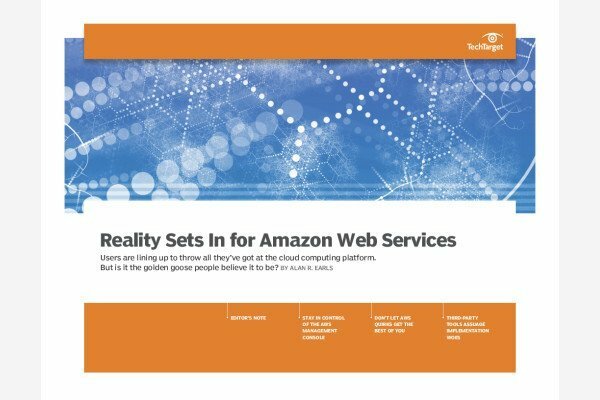 Amazon AppStream is an Amazon Web Service (AWS) that enables compute-intensive applications to be the streamed from Amazon servers in the cloud to local computing devices. The managed service eliminates the need for information technology (IT) teams to recode applications to be browser-compatible and is especially useful for delivering graphics-intensive applications that rely on DirectX, OpenGL or OpenCL for hardware acceleration. Application streaming services are an alternative to on-premises application virtualization. An app publisher uploads the application's installer to Amazon's Simple Storage Service (S3), and then AppStream associates the S3 install location with the application. AppStream uses a proprietary protocol called STX to stream application video elements to the client. Because the resource-intensive components of the application exist on the cloud infrastructure, the associated client app can be lightweight, an important consideration for deploying Windows applications to mobile clients. Developers can choose to deploy the entire application or only parts of it on the AWS infrastructure. An increasing reliance on cloud services and the rise of workers using multiple devices to get their jobs done are driving the trend towards streaming company-approved apps. Apps don't have to be physically loaded on employee computing devices and usage can be monitored remotely. The architecture is composed of a host virtual machine (VM), an application, an entitlement service and a client. When a client requests to run the application, the entitlement service authenticates the user. If successful, the service returns a unique URL to the client that allows the client to launch the application. How might streaming apps save your company money?